When I was abroad in Australia, I was surprised to learn that most Aussie students did not know their mail man. They were startled that I knew my mailman on a first-name basis (shout out to Bob! ), and that I would always say hello when I passed him delivering mail. I appreciate the hard work that goes into shipping packages and letters, but when packages get lost in the mail, I find myself furious at the USPS. Of course, as it is typically with humans, when something goes wrong, we like to point fingers. 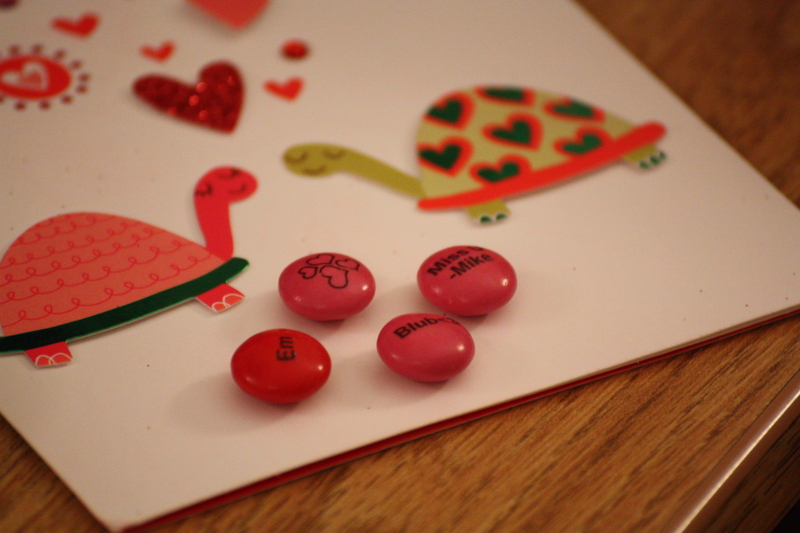 This Valentine’s Day, I sent a gift to my boyfriend who goes to school far away from me. It was supposed to take 2 to 3 days, and it was sent 10 days ago. He has yet to receive it. I made my boyfriend this granola for Christmas, and apparently I should have included a note that he should eat it within a week or two. Six weeks after Christmas, he stuck his hand in the jar and managed to eat a handful of ants. I cannot explain in words how embarrassed I was; how my homemade, crafty, little gift ultimately failed. I figured, I’ll be ironic and send him another batch of granola for Valentine’s Day. This time around, I made a card stating that if he doesn’t enjoy the granola fast enough, the ants would. I should have known that my granola projects are cursed, because he never received the granola. By now I’m sure there are ants gnawing away at it in the back storage room of some mail facility. Or perhaps a mailman brought it home and is munching on it. If this is the case, I hope it is Bob, my mailman, that is eating the granola. 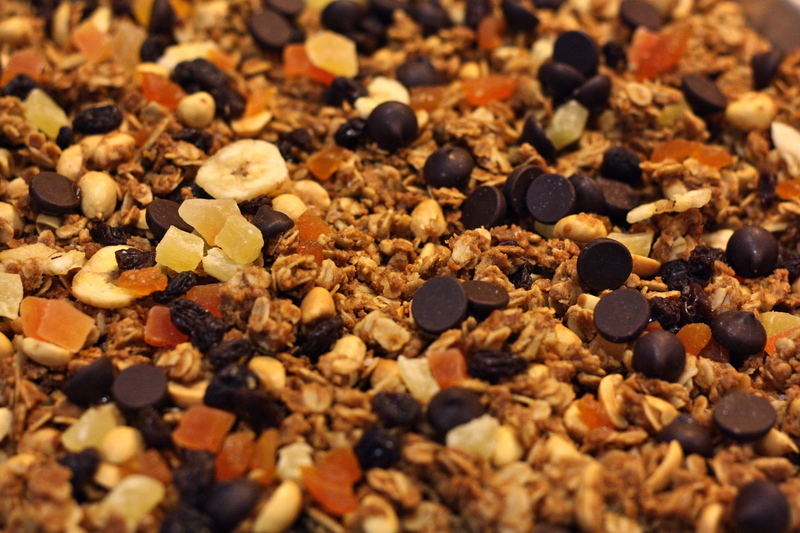 And so, as promised, here is the recipe for the ill-fated granola. It was delicious (which is just another blow, since my boyfriend would never taste it). 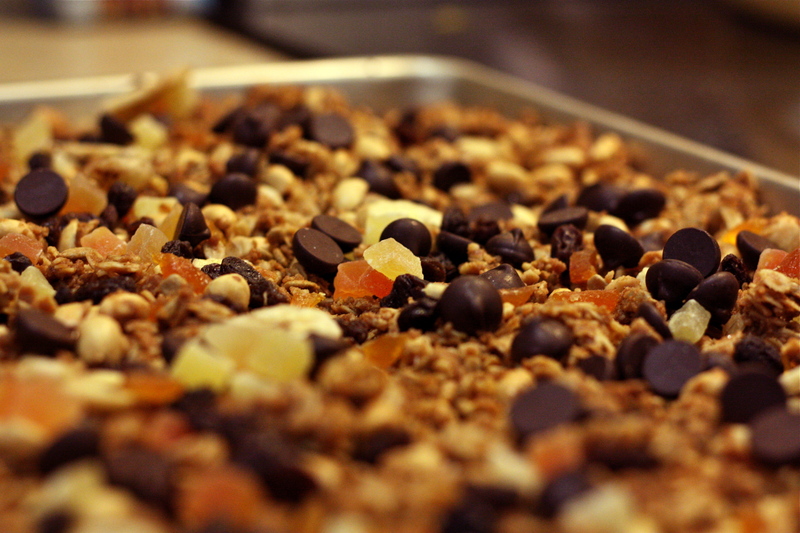 Peanut butter, dried fruit, dark chocolate chips, what better combination? Combine oats, seeds, nuts and cinnamon in a bowl. In a separate bowl, combine the peanut butter, oil, sugar, honey, vanilla and salt Pour over granola mixture and stir until fully coated. Spread gently in a 9 x 13″ pan. Bake 20-30 minutes, until toasted. Stir gently every 10 minutes. Remove from pan and allow to cool completely in pan. Add fruit and chocolate.